I was out running a few errands after dropping the boys off at school. Before I headed home I decided to stop in at Tuesday Morning, you never know what you can find. 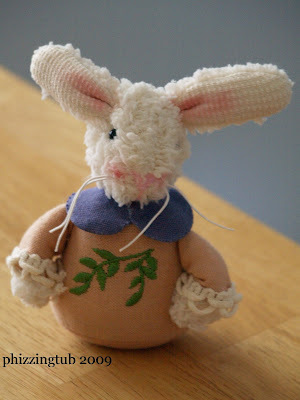 I loved the little bunny above just perfect to add a bit of spring cheer in the house. 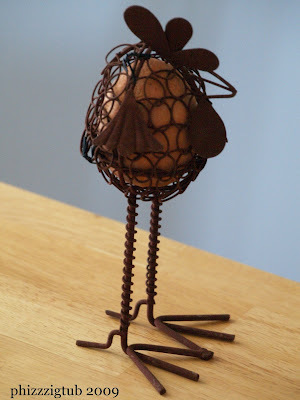 This chicken is made out a rusted metal and in the center is an egg, unusual and fun!